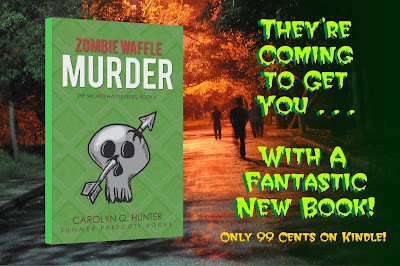 Zombie Waffle Murder is Out Now on Kindle! They're coming to get you . . . With a fantastic new book! I'm excited to announce the release of my latest paranormal cozy mystery in the Wicked Waffle series: Zombie Waffle Murder. What would summertime be without good books? From a young age, I've always associated reading with summer--mostly thanks to the local library's summer reading program. For me, that program was like gold. My family didn't have a whole lot of money growing up, so getting books from the library was a real treat. On top of that, at the end of the program I was able to pick a brand new book to keep! Most of the books I checked out and read back then were either spooky kid's mysteries, ghost stories, or children's renditions of classics like Dracula and Frankenstien. So, it shouldn't be too much of a leap to say that I also associate summer time--with its cook outs, swimming, and outdoor play--with all things scary. That's why I'm so thrilled with my latest cozy mystery offering. Zombie Waffle Murder sees diner owner Sonja and her sheriff husband Frank trying to solve another mysterious murder that happens at a zombie themed marathon! Check out this number one new release on Kindle for only 99 cents! Get ready for some spooky, crime-solving fun! 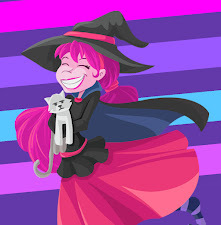 Sonja loves Halloween, but sometimes the notoriously spooky holiday is too far away. So, when a local zombie themed marathon is announced, she jumps at the chance to whip up some Zombie Waffles with Zombie Juice. She even looks forward to getting all dressed up in gruesome makeup for the event, despite regretting signing up to run alongside her fit and athletic husband, Frank. Unfortunately, as luck would have it, the event is interrupted when one of the runners is found dead. Not only does her death seem like foul play has been involved, but the girl's group of friends all seem to have deep rooted secrets of their own, which they seem to desperately want to keep hidden. Sonja tries to stay out of solving the mystery, but her ghostly powers end up pushing her right into the thick of things. Running in circles to figure out how all the disjointed clues fit together, will Sonja be able to pin down an answer before she becomes the next victim?